How diverse is MCCN's student body? 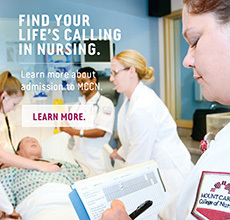 Mount Carmel College of Nursing (MCCN) is committed to supporting and sustaining diversity on our campus. Our goal of respecting diverse spiritual and cultural values goes hand-in-hand with our goals of service to community and to offering educational opportunities for holistic development of outstanding health care professionals. When considering MCCN, you, like many students, may feel the need to ask questions such as: What is it like academically and socially? Will I fit in? Are there people like me? Will I find my niche? 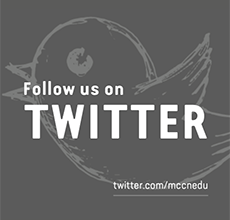 You'll find answers about the diversity of the MCCN community by exploring the diversity section on our website and by talking with our admissions staff and current students. Yes, any student is allowed to have a car on campus. The only restriction is that students must park in designated lots around campus. It's important to note that MCCN is also on a bus line and that cars are not necessary as transportation once on campus. This is a walking campus. What activities are available to MCCN students? Students at MCCN are very active and can join an existing group or start a new one. Many of our students are active in such club sports as basketball, softball, and volleyball. Many others enjoy providing community service, yoga or dance classes, or participating in the Student Government Association or Campus Ministry. MCCN also offers students membership in SNAM (Student Nurse Association of Mount Carmel). In addition, a few of our students conduct leadership development training through Army ROTC. It's up to you to decide whether or not to purchase a computer for your college career. More than 90 percent of MCCN students do bring one to campus. If you choose not to own a computer, there are computer labs accessible to students. Every student has his or her own computer account providing access to email, the internet, online library resources, and other services. Finally, the campus network can be accessed in every apartment in the resident hall. Mount Carmel College of Nursing is a smoke free campus. Smoking is not permitted inside or out of any College building, including residence halls.